You may have heard people claim to you that they are one of the Two Witnesses or claim to have met the Two Witnesses. Over the years, many people have made these claims to me. I have ignored claims about the Two Witnesses because the Bible gives us a good idea of what to look for from the real Two Witnesses. I don’t want you to get deceived. In this article, I’ll share with you insight about the Two Witnesses who will appear, including their likely identity. The Two Witnesses have not begun their ministry yet. In fact, the ministry of the Two Witnesses will not begin for a while. 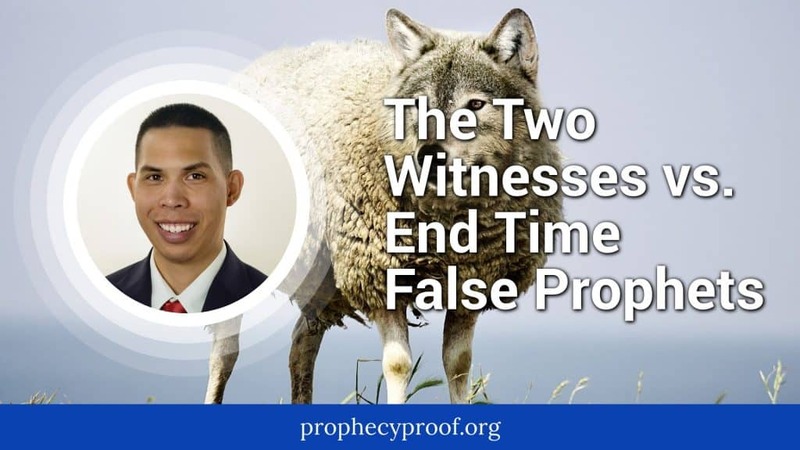 Based on this, you can know that you’re dealing with a false prophet when they claim to you to be one of the Two Witnesses and make a failed prediction. Genesis 37:34 (Mourning): And Jacob rent his clothes, and put sackcloth upon his loins, and mourned for his son many days. Jonah 3:6-8 (Repenting): (6) For word came unto the king of Nineveh, and he arose from his throne, and he laid his robe from him, and covered him with sackcloth, and sat in ashes. (7)And he caused it to be proclaimed and published through Nineveh by the decree of the king and his nobles, saying, Let neither man nor beast, herd nor flock, taste any thing: let them not feed, nor drink water: (8) But let man and beast be covered with sackcloth, and cry mightily unto God: yea, let them turn every one from his evil way, and from the violence that is in their hands. The Two Witnesses may urge people to humble themselves before God and to repent their evil ways during their ministry. The wicked will refuse to heed the words and warnings of the Two Witnesses. Anyone who tries to harm them will die. Revelation 11:6 indicates that it may not rain during the 1,260 days of their ministry. One reason why people may try to harm the Two Witnesses is for bringing this long drought. The Two Witnesses will smite the earth with other plagues as well, so the wicked will have plenty of reasons to hate them. The identity of Two Witnesses is subject to debate. However, many agree that the Prophet Elijah will be one of the Two Witnesses. God promised in Malachi 4:5-6 that He will send Elijah to perform work before the coming of the Day of the Lord. John, the author of Revelation. This begs the question why would Satan want Moses’s physical body? Normally, a corpse should not concern Satan. However, in this case Satan wanted to prevent Michael’s attempt to gain (or maintain) custody over Moses’s body. It’s reasonable to conclude that there was a strong demand for Moses’s body because it may be used again when Moses serves as one of the Two Witnesses. Second, Moses and Elijah (Elias) appeared together when Christ was transfigured. The detail about how the bodies of the Two Witnesses will remain in the streets gives us some idea of how much the wicked will despise them. The wicked will show disrespect to the bodies by not giving them a proper burial. The dead bodies will be on display so people can derive joy from the slaying of the Two Witnesses. The people who witness this event may begin to realize who is exactly in charge-and it’s not Antichrist! It’s God in Heaven! Beware of people who claim to you that they are one of the Two Witnesses. You are likely dealing with a person who is not one of the Two Witnesses. Be skeptical of what they tell you. Be careful as many false christs and false prophets will arise in the future who will seek to deceive many unsuspecting people. Don’t become one of their victims. Under this scenario, Moses would die twice, which does not seem right at first glance. However, according to Got Questions, a popular Christian Q & A website, there’s biblical precedent for a person to die twice. It is precisely because I study the Scriptures that I know the two witnesses are not here. The Bible is clear as to when they show up and prophesy. It is the last half of Daniel’s 70th week. Anyone who claims to be them, until antichrist sits in the temple declaring himself to be God, is a false prophet. I think I’ve had 12 or 13 people claim to me that are one of the Two Witnesses over the years. 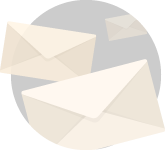 Actually the Bible tells us that Elijah sent a letter to the King of Judah from about 6-10 years (that’s as definite as the Scriptures get) after his being taken up in a whirlwind. Considering that, I would not want to say conclusively that Elijah did not die. He appears to have merely been transported someplace else, as Philip was in the New Testament, to another place, from which he obviously wrote the letter years later. I don’t know why so many pastors who supposedly are studying the Bible miss that. As with the previous writer, I am curious as to where you got some of your information. Supernatural fast? Where exactly did you read that? Remember the warning about adding to this book. Both of you should. May I ask where you got this dialogue that you are presenting as factual information between the witnesses and someone? It’s not in my Bible. Mean that of a truth I am one of the 2 witnesses, actually the lead one. My understanding is that Zerubbabel in Zechariah 4 and Haggai 2 is symbolic of 1 of the 2 witnesses. It won’t be Zerubbabel re-incarnated or anything. I agree with a lot of what you wrote. 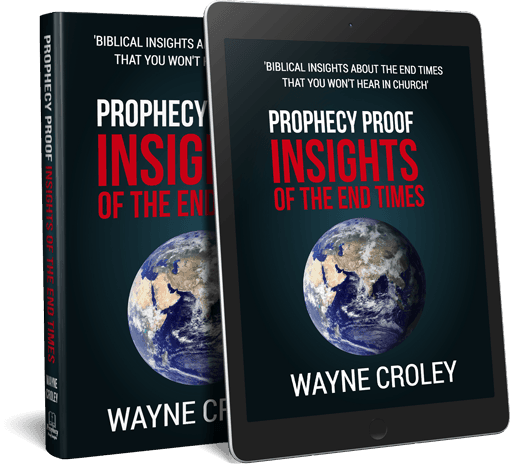 In particular, my views have shifted over the past year where I can really understand what you wrote in the first part of your comment about the progression of events in the Book of Revelation. Wayne, so are you saying that you do not think the seals are followed by the trumpets which are followed by the vials? How are you seeing them laid out then, and why? I saw them laid out sequentially but then I had problems constructing a timeline that I was fully comfortable with. There are elements of the Pre-Wrath position which I think are true but there are also elements of the Post-Trib position which I think are true. What I’ve been trying to develop is a fusion of the two positions. During my research developing a hybrid view I read about the Semitic view of Revelation’s chronology which intrigued me. I’ll have more to say when I’m ready to present the view I’ve been working on. Sister Priscilla, exactly what verses do you see as making it impossible for the seals, trumpets, and vials to be laid out in that order? I see no discrepancy or problems with that chronology. Clap, clap,clap!!! I’ve just recently gained some of that pagan history after asking GOD to enlighten me. So I no longer say the pledge of Allegiance, salute the flag, place my hand over my heart, celebrate Christmas, easter (eshtar), ect. I am a patriotic vetran, and had gotten pushback/harsh looks & comments from pastor & congregation alike. My point is this… with so much false teaching, (from prominent “pastors”)lies, deceit ect. My “allegiance is with the most high GOD! Not a flag (idol), not their red (fiery cross) Christian flag, but with GOD alone! According to Discovery Channel’s website, the program will re-air on August 21 at 9AM (EST most likely). I read about Krugman’s comments. Those comments were quite strange. I agree with the alien deception possibly being used to mischaracterize the two witnesses. I found this site from a google search to see if anyone else had come to this conclusion. Now Paul Krugman is talking about fake alien invasions on CNN. Look for it and Thanks. I agree that the two witnesses will be on Earth for much of the trumpet judgments. However, the idea that the two witnesses would predict events associated with the trumpet judgments did not register in my mind until now for some reason. Thanks for mentioning that.